ECHO Immersion South Africa 2019 : mDoc – Your Health in Your Hands. Anytime. Anywhere. 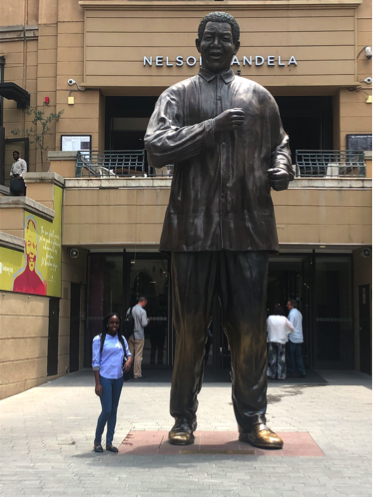 On February 18th-19th 2019, I had the opportunity to participate in the ECHO (Extension for Community Healthcare Outcomes) Immersion training in Johannesburg, South Africa. It was an insightful 2 day training, and also a great opportunity to connect with other people in the healthcare field on the continent who are committed to improving healthcare education amongst providers in pursuit of improved access to quality care for our populations. mDoc has been a partner with ECHO since 2017. We initially partnered with ECHO to launch both a Quality ECHO (through mDoc Quality Network) and a Chronic Disease management ECHO. This training was the first immersion training that ECHO has had in sub-Saharan Africa and I joined as I am the ECHO coordinator for the Chronic Disease in Women ECHO that we are holding as part of a new MSD for Mothers funded project in partnership with Jhpiego and HSDF. The goal of the project is to help women in Nigeria reduce their risk of maternal morbidity and mortality due to indirect causes. The first session at Immersion was led by Dr. Michelle Iandiorio – Associate Professor at University of New Mexico and Medical Director at the ECHO Institute. She discussed what the ECHO model is, how it works, and why it was started. The ECHO model was founded by Dr. Sanjeev Arora in New Mexico, USA. He is the Director of Project ECHO and is a Professor of Medicine at the University of New Mexico Health Sciences Center. He created the program to equip primary health providers with evidence-based guidance to effectively treat patients with Hepatitis C to minimize unnecessary referrals to specialists. This common practice of referrals to specialists resulted in patients having to travel long distances, wait for months for an appointment and some even dying while waiting. The solution to this issue resulted in what is now Project ECHO. ECHO works to democratize access to healthcare knowledge. Utilizing videoconferencing technology (Zoom) on a recurring basis and case-based learning of de-identified patients, in a virtual hub and spoke format, a multi-disciplinary team of experts help to provide guidance and information to health providers (spokes), so the providers are better equipped to treat patients in their local communities. The health providers at the spokes also contribute in guiding each other on best practices. The ECHO fosters a community of practice where “all teach, all learn”. The first day of the immerson training was focused on all aspects of setting up an ECHO – the resources that the ECHO team provides (amazing), the technology, players involved, how the learning is facilitated, structure of the session and how everything comes together. We also had an interactive practice session at the end of the day. It was a great chance for all of us to see a live example of what it would be like to run our own ECHOs, and how to deal with unexpected challenges that might arise. The second day of the training focused on maintaining the fidelity of the program, access to educational resources, and the first steps to take to start our own ECHO. We also got to see examples of other ECHOs already being run on the continent. Dr. Leonard Bikensi from the Ministry of Health in Namibia and also a project lead for an ECHO in Namibia, was a part of the training team and led some of the training sessions over the 2 days. I thought it was great that someone who runs an ECHO in Africa was a part of the training team, because it truly reflected the ECHO model of utilizing people in the community to serve the community. Dr. Bikensi was able to highlight issues we might encounter that are unique to the continent. At mDoc we work based on a similar principle. We focus on hiring our coaches from within the community they serve so they can effectively understand and relate to the unique issues members with chronic disease may face. The last session, was a breakout session where a group of us were partnered with members of the training team so they could assist us with developing an action plan for carrying out our own ECHO. However, I was the only one partnered with 2 members of the training team as some of the other participants assigned to my group had to leave early. It was great to have that special attention and get to ask follow up questions of the team, as well as discuss possible issues that might arise for us at mDoc. Overall, my trip to South Africa was great. I even managed to dash out at lunch and get an obligatory tourist picture with the Nelson Mandela statue! 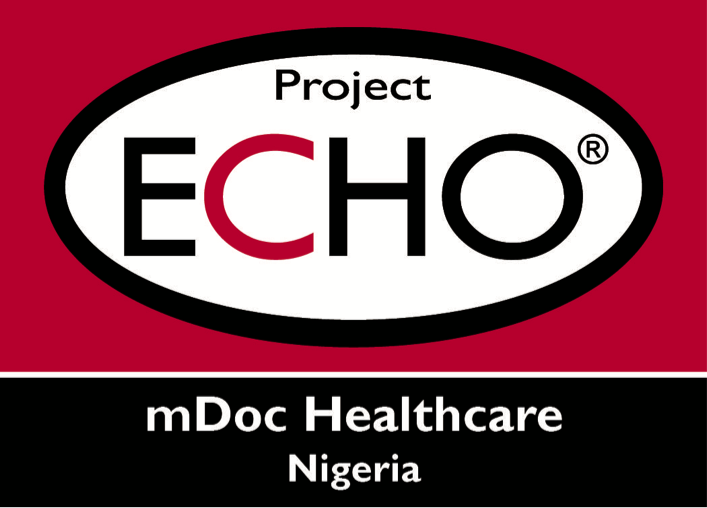 I’m really excited about how we are going to utilize the ECHO model to further improve chronic disease prevention, screening and management for women of reproductive age in Nigeria , by continuing to help members of the community serve their community.